I know you will love this one. One of our favorite Christmas songs. 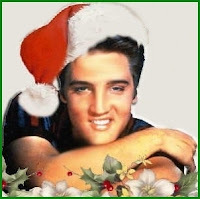 It is so nice to see Elvis Presley at his best and singing so well. I love the way they digitally dropped Martina McBride into this tract in 2008. This is the answer to Elvis singing with Celine Dion on American Idol. Elvis - Born January 08, 1935. Died August 16, 1977 and Martina was born July 29, 1966.